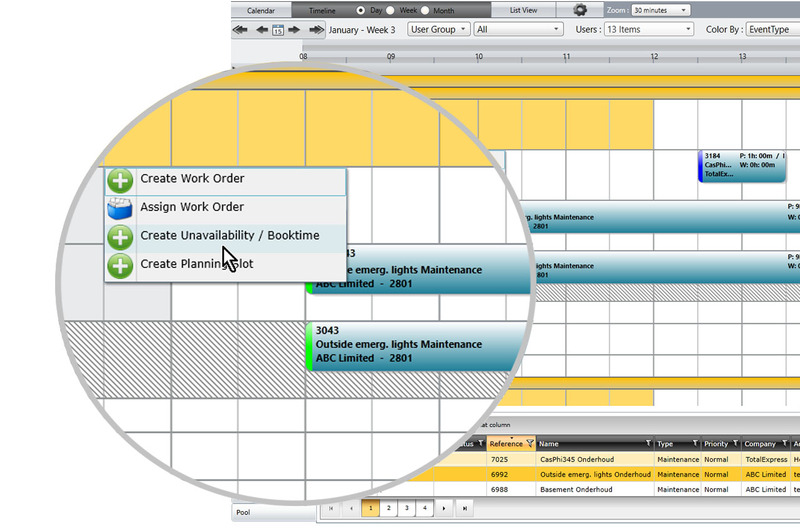 The Odyssee Field Service plan board is especially user-friendly. 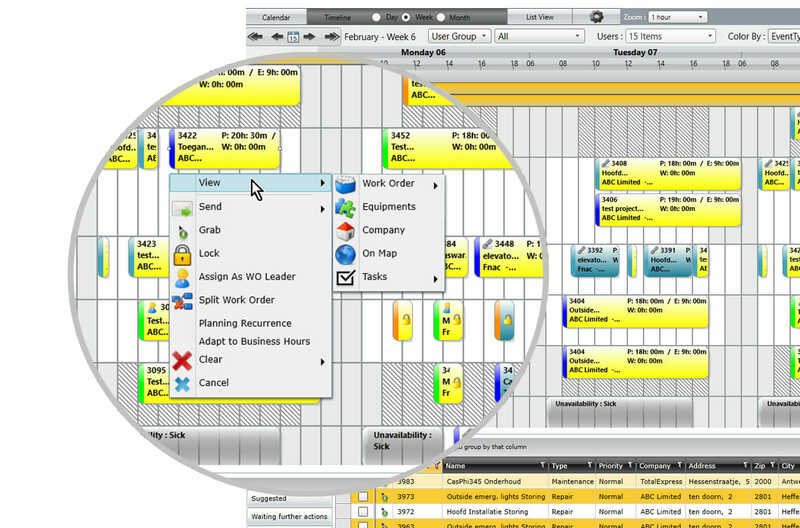 It gives you a clear overview of the availability of your service teams and even allows you to group them by region. You can move jobs around by simple drag and drop. The plan board also warns you if there are other jobs still open for the same customer. This will save you time and money. You want to save even more time and money? Use SmartScheduler. 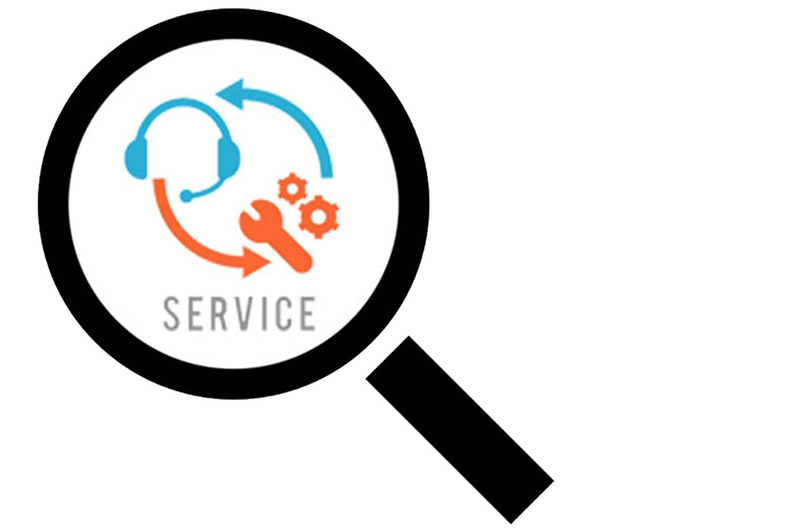 Select a batch of jobs for a list of techncians for a certain period, and ask SmartScheduler to plan it in the best possible way, taking skills, parts, mileage and several other parameters into account. Look on the map if the routings are fine, and confirm the schedule. 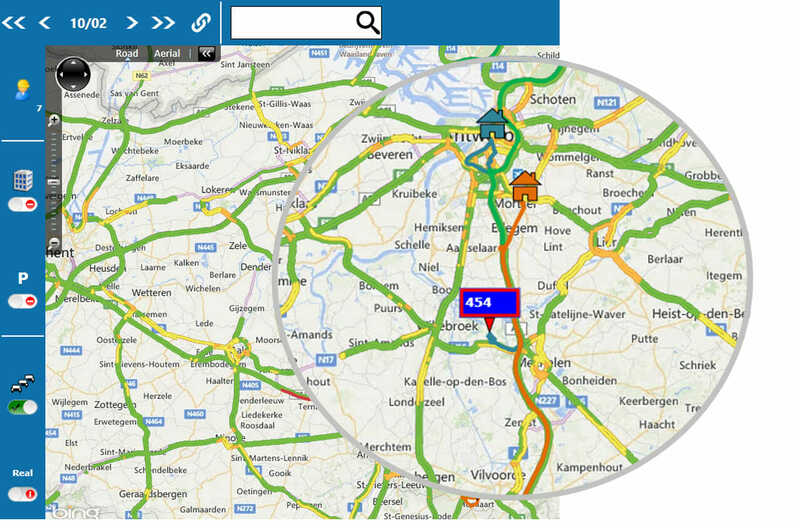 Or look on the map to visualize an emergency and the closest technician at that time. One assignment at a single location can still involve several different jobs. The Odyssee Plan board gives you the freedom to plan jobs together. You decide whether you would like to allocate different technicians to a job or whether you would prefer to have a single technician take care of multiple jobs. The possibilities are endless. But you always maintain a clear overview. Does a job require specific skills from your technical crew? 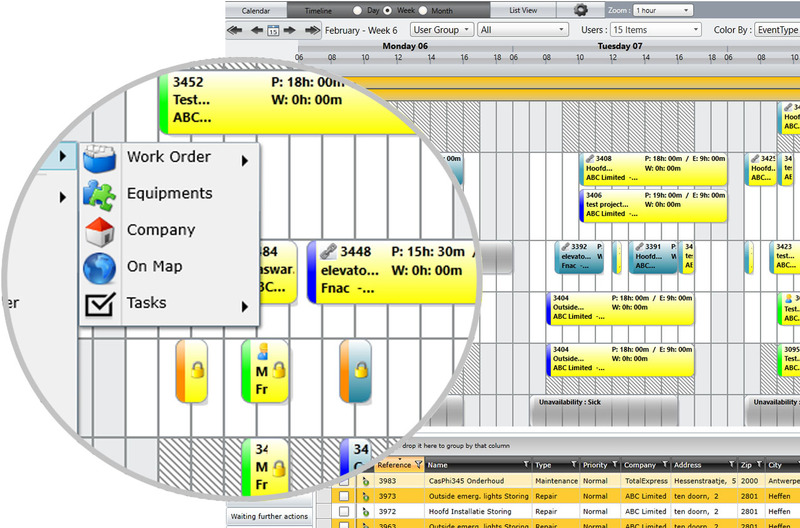 When you plan it, the planning board will automatically warn you if the necessary skills are not present. By giving you the right information at the right moment, the planning tool increases the ever important “first time fix” rate. And if it happens that no first time fix can be achieved, you can easily follow-up these jobs from within that same planboard. No need to leave it, take immediate action and plan again. The plan board is a huge crossroad where everything comes together. You need to be able to check who is available and who isn’t at any given time of the day. Register who is on vacation and who is on call for the weekend. And never miss a thing.